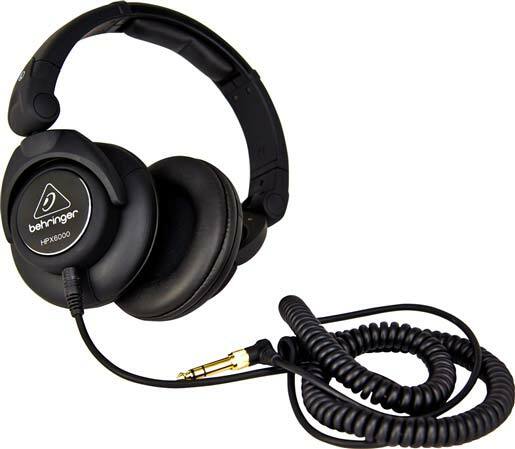 Shop Behringer HPX6000 Professional DJ Headphones from AMS and enjoy Fast & Free Shipping. 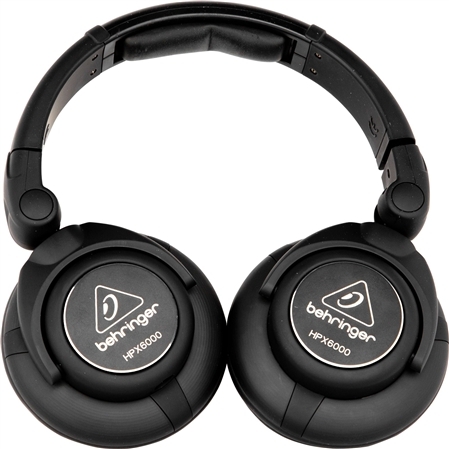 Amazing sound, stylish comfort and real value, Behrtinger HPX6000 Professional DJ Headphones offer huge 50 mm neodymium drivers for a loud and clean sound with an ultra-high dynamic range with enhanced lows and highs for DJs who want to hear it all. The HPX6000 takes affordable audio headphones with powerful sound, incredible style and must-have comfort to a whole new level! Having great sound is one thing, but being a DJ is also about style. You don’t just have to sound good—you have to look good, too. On top of their rugged construction, we made sure to choose the right materials to give these headphones a classic look and feel. From the soft touch rubberized coating to the leather ear cushions and headband pad, these phones feel fantastic on your head or in your hands. And we include a carrying bag in the package to make sure they stay that way. So even though they look and sound amazing, if they aren’t comfortable that’s a deal breaker. We know you wear your headphones all night long, so we made sure you could adjust everything about the HPX6000s. The headband and ear cups are fully articulated and adjustable, and can be worn on the head or around the neck single cup style. They are also foldable, allowing for easy carrying and storage. To top it all off, the detachable cable makes it even easier to store them away. For the money there worth it....a little uncomfortable at first but once you break them in there ok.
A little uncomfortable at first....hard plastic but once you break them in there ok. So far so good! American musical supply is a great help with the payment system. These are Awesome sounding headphones! 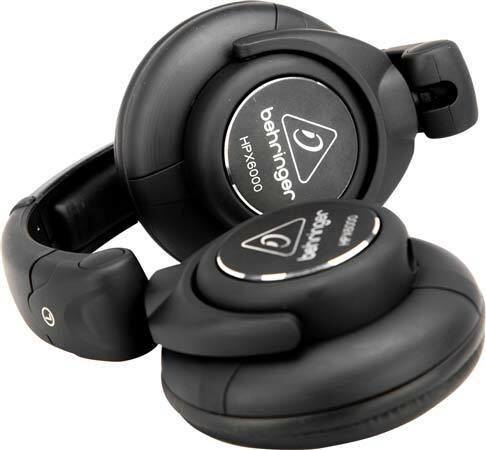 Behringer HPX6000 Professional DJ Headphones. 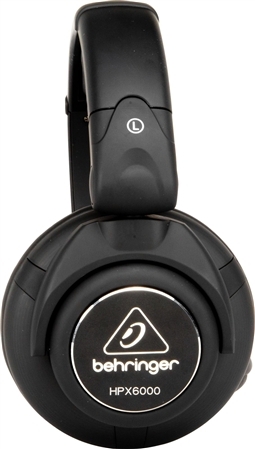 I just paid $49.99 for these and have just finished breaking them in, and they sound better than my friends Dre Beats do that cost him $299.00.I am a DJ and am using them with a Behringer mixer, with an eq, Great highs, mids, and Lows, Awesome BASS. Very comfortable and light weight, The only complaint I have is, I have a small head, and they are just a hair to big, so if you have a big head these would be perfect for you. for the $49.99 these things are well made, and comfortable having them on for hours! Worth the money, and better then some headphones that cost 5 times as much money! These headphones are great! I am learning to dj and really enjoy these headphones.